Recap of day 28 in the Big Brother house; highlights show: Tuesday 3 July 2012. It’s week four in the Big Brother house, so far four housemates have been evicted. Today the group will decide who will face the next public vote. Adam, Luke A and Lauren are in the garden. Luke A comments, ‘See Arron doing the washing up…I feel sorry for him, genuinely underneath it all he’s alright.’ They speculate on how many people will be up this week. Lauren says, ‘I would rather everybody go up this week.’ Adam thinks three housemates will be up for nomination. Luke S is the first housemate to nominate. His first choice is Deana and his second is choice Lauren. Lauren then nominates Arron, followed by Scott. Scott is applying hair product in the living area, prior to nominating. Luke S asks if the volumising powder works. Scott is next to nominate, he tries to think about what to say. His first nomination is Conor then Luke S.
Shievonne is up next and picks Rebecca, her second choice being Luke A. Some of the boys are in the living area remembering in which order the housemates entered the house. Adam comments on Ashleigh’s photo, ‘Ashleigh’s never looked like she has when she first came in here since she’s been here.’ Luke S stays silent. In the kitchen, Caroline, Ashleigh and Conor are talking about Lauren. Ashleigh says, ‘Everything comes out over exaggerated.’ They start mimicking her, Conor laughs. Adam is in the diary room and nominates Caroline then Arron. Deana is up next to nominate and picks Arron, labelling him ‘Conor’s little lap dog’. Rebecca is her second nomination. Conor enters the diary room to nominate Deana, then Rebecca. He calls them both stirrers. Caroline nominates Lauren then Adam, who she only decided to nominate in the last minute. Sara and Scott are in the bathroom discussing Arron and Conor’s prank taking Scott’s statue. Sara reveals to Scott that Big Brother didn’t ask them to take it. Scott reacts, ‘I’m not going to play up…I’ll say something at some point.’ Sara adds, ‘I was generally really angry.’ Scott adds, ‘They don’t want me to have any kind of personality.’ Sara reassures him that he must come and speak to her if he gets upset. Ashleigh is keen to show her boyfriend her new masculine look. Conor screams, ‘You do look like a man!’ Luke S says, ‘I won’t kiss you like that.’ Ashleigh is disappointed. Luke A is called to nominate. He picks Luke S then Conor. Ashleigh, looking like a man nominates Deana and Lauren. It’s then Rebecca’s turn to nominate and she picks Arron and Conor. Arron is the final housemate to nominate, with no hesitation he chooses Deana and Rebecca. The results are in: Arron received five nominations; Conor, Rebecca and Deana received four each. These four housemates will face the public vote. Conor says that he will no longer speak to Rebecca, Scott and Sara. Arron is in the bedroom, ‘F**king two faced b**tards!’ He then sneakily pours a glass of water into Rebecca’s bed. Sara and Caroline are talking about the tensions in the house. Caroline says, ‘Don’t get angry with me, I feel like you don’t appreciate that I’m friends with Arron and Conor.’ Sara snaps back, ‘Why would you think that? I don’t understand why you would ever come out with anything as ridiculous as that. Load of rubbish.’ Caroline explains that Scott thinks that and thought Sara would feel the same way. Sara isn’t impressed. Some of the housemates are in the pool. Caroline tells Ashleigh that Sara just snapped at her and that she thinks Sara are Scott are being insensitive and don’t like her friendship with Conor. 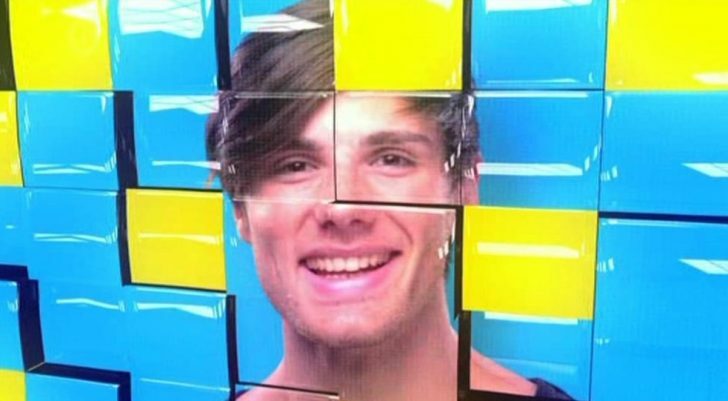 Arron is in the diary room talking to Big Brother how he feels about being nominated. The arguments are getting to Caroline and is seen crying in the toilet. Four hours ago Arron poured water into Rebecca’s bed. Rebecca discovers her wet bed and says to some fellow housemates that it’s like someone has poured water in her bed. Lauren, Adam and Luke A are chatting in the smoking area. Luke A announces, ‘So we’re half way through! That was the first time I proper sh@t myself.’ He adds, ‘Technically we don’t have to do anything, they are doing it all themselves.’ Lauren and Adam agree.